This is a poem that I found quite awhile ago and had it filed away in memory. It can be found in several web sites via Google. I am posting it especially for some blogging friends. Mary and Tim Livingston have had Golden Retrievers for many, many years. Mary’s beloved dog died far too young and this is a post just for her. Mary has the blog “The Backdoor Artist.” Tim’s blog is “The Forester.” Both blogs are wonderful with many posts and wonderful photos of and about the Golden’s in their life. I can not make the link thing work. But scroll down to where the blogs that I follow are at the bottom of this blog. If you click on the names of the blogs it will take you there. In the past if was working just by clicking. Since this blog is “having a spell” I’m not sure what it will do. To leave their homes and all they have to those they love. I, too, would make a will if I could write. My dish, my cozy bed, my cushioned chair, my toy. And give my place to him. ’til all I have to give. I want to write significant comments but I have no time. Have first appointment at 9:30am. Back later today. Thanks to all that commented. Back to all of you later, ok? I have lots of posts in the pipe line and some have just a title in draft form. I don’t have the motivation to write since the blog is acting strange again. I can not get two lines of the kitchen sink. I’ll have to keep trying to see if this computer dummy can determine what has gone wrong (again). But my computer was acting up last evening in WP and in Yahoo mail. It froze up so often I was beginning to feel its chill. A blogging friend tried to send me an email and it refused to leave California and my email to her refused to leave Texas. I always knew there was competion between California and Texas but this is a bit much.Yahoo and AOL are now mad at each other. maybe I can blame all this on Rick Perry our Texas governor with the “big hair” and Italian made suits. He just had to go out west and monkey things up. It seems he was making a pitch to the young and bright minded to move to Texas seeing as how he wants to make Austin another Silicone Valley. How in the world does a city filled with hills become a valley? I read he was pitching right and left handed, you know switch hitting. He told the gifted young-uns that Austin has low taxes, a stupendous housing market, and virtual center of culture. I’ll let the good folks in California in on a little secret. There is no such thing as low taxes in Austin. I know better. My poor daughter lives in a little a rinkly-dink house (it isn’t leaning yet).The taxes for this past year totaled $4,000. I almost flipped my wig. Well not really. I still have my hair, it’s just not as big as Governor Perry’s- hair! Anyhow, I’ll shut my fingers up and call this a night. Actually! I’ve been thinking -yes the old girl can still think and possibly reason that blogging is more about I’ll scratch your blog if you scratch my blog sort of thing. Then there are the people who I feel are being polite and really don’t have that much interest in reading and commenting about pets or other ramblings. So why blog anyhow? Well, there are selfish reasons. It’s a good place to write about what I like. It’s a good place for me to critique my own efforts at photography, and so on. The blogs and the pics have a home and I have downloaded to hard drive most of what is here. And I like to go back and I continue to edit over and over as I find misspelled words and duplicate words, etc. I’ve tried to improve my writing skills but I can not even hit the tip of an ice berg compared to the blogs that I read. So to keep from feeling so dang inferior I have whittled blogs down to those I like and to those that I feel might actually read my posts sometimes-that is if they are not too much of a snob. If I comment on your blog it will be because I feel that you are “human and accessible.” Not everyone leaves me with that impression. I am a simple person with a simple purpose that possesses a simple mind. . I learned one fairly good skill in my long life. I can figure out sooner and or later if a person is genuine or not. On one blog a young woman wrote that she thought the blogging world was all fake yet there she was bigger than life commenting and I see her name on other blogs that I have been reading. So, who is the fake person? But all the above is merely idle chatter/writing. There will no longer be an option to comment. This way there is no obligation for anyone to comment and I won’t spend time thanking and replying. I feel we all win in this situation. I had about 60 plus subscribers. Most I did not look for. But I whittled the list to twenty-two and unless I find a blog that is really good that list will remain or I might delete more. Thank you all for stopping by and for leaving the nice comments. Now you can read or not and skip on to the next blog. This winner this year, of this prestigious show, which by the way is a sporting event, rose from the ranks of the toy group. This might be a breed that many people have known little or nothing about. 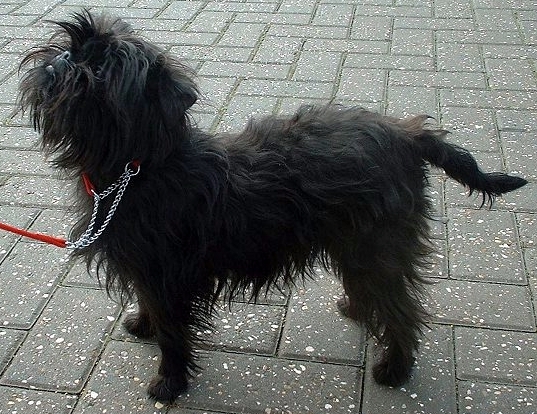 He is a solid black cocky looking little Affenpinscher guy who trotted around the huge ring as if he owned the place. I’ve seen judges interviewed on TV and I’ve heard more than one say that sometimes the winner is the one that has the proud gait, an expression and demeanor that seems to say “look at me” or something to that effect. This was the 137th dog show held which is sponsored by the American Kennel Club. This event is considered the oldest official sporting event of any kind. This is sort of hard for me to wrap my head around but that is what I read about this very huge event. Kippy knows he is looking good. This is a repost and I just picked out an old one that I had posted on my daughter’s website of Vet to Pet Austin. Since she had to give up her practice due to severe illness I’m not sure if the site is still up or not. My part of the site was writing pet related posts and sometimes other misc. things. A web master copied my blog posts and moved all to my site about July or August, 2012. I did not activate my blog until sometime in September. I had to get a credit card to get the blog up and running. I never had a credit card ever before, the blog thingy. My husband thought credit cards were a waste of time and money. We just did not believe in paying interest. If you don’t have the money you most likely don’t need what you thought you did. At first I had no idea how to garner reader/viewers/ subscribers. Talk about one dumb cluck. I HAD TO LEARN!! !Reach out is the name of the game so I just went idly about looking here and yon for blogs with which I felt some sort of connection. Odd this thing called blogging. I wonder how that word came to be.
. Do you think your dog is happy and seems to smile at times? Here are a few pics of some of our dogs. I think the pictures are sort of cute but then I am biased.